We have yet another sad if somewhat belated edition of the NNHS Newsletter this Tuesday. 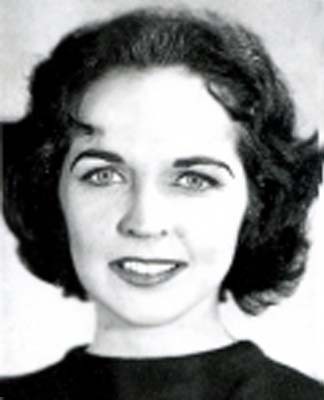 Mavis Sherman Flaherty, Class of 1952, passed away in Abbington, Pennsylvania on Thursday, August 04, 2011. ABBINGTON, PA. - Mavis Sherman Flaherty was born in Hopewell, Va., in 1933. She lived there briefly and grew up in Newport News, Va., attending local schools, and graduating from Newport News High School in 1952. She attended Mary Bland Bryant's School of Art in Hilton and will be remembered at her passing on Thursday, Aug. 4, 2011, as an artist from an early age. She worked briefly in the Piping Drafting Room at Newport News Shipbuilding & Dry Dock Company, while continuing her art studies and was hired by Rucker Rosenstocks Department Store, in Petersburg, for their art department. Mavis's work life took her from Petersburg to Miami and the art department at Burdine's Department Store; from there she went to Washington, D.C. to Woodward & Lothrops. She met and married her husband, James Flaherty, during that time and they moved to New York. In time they had two daughters, Kelleen and Shannon. During their years in New York, Mavis produced Christmas catalogs for Bloomingdales and Wanamakers. She painted for a summer in Ireland and was given a one woman show at the Irish Tourist Board in Manhattan. Her husband's work took them to Argentina for three years and while there, she painted with the renowned artist, Miguel D'Avila. Upon returning to New York, she worked for General Foods, designing food packaging and story boards for television. After New York, Mavis relocated to Virginia and settled on the top of a building in Arlington. She studied with a noted watercolorest at the Smithsonian. She continued her career in the art department at Giant Foods, producing packaging art and story boards for commercial television. Upon her retirement, she moved to an Erickson Retirement Community in Warminster, Pa., where she lived until her last illness. She is survived by her daughters, Kelleen N. Flaherty and her sons, Hunter and Charles Heckroth of Jamison, Pa., Shannon and husband, Bob Hamilton and their sons, Forrest and Roam in llkley, West Yorkshire, England; sister, Jeanne S. McCellan and her daughter, Sharon and husband, Thomas Doane of Richmond; son, Eric and wife, Anita and their son, Jimmy; her brother, Larry and wife, Nina and their daughter, Holly and husband, Kyah and son, Ashton of Kansas; and a favorite cousin, Edward Hartman of Ashburn, Va.
A memorial service was held on Wednesday, August 10, at Ann's Choice Retirement Community with members of Mavis's Art Group in attendance. Burial was private. View and post condolences on our online guestbook at dailypress.com/guestbooks. Dear Family, So sorry to learn of your loss. I went to school with Mavis and graduated with her from NNHS in 1952. I had not seen her in many years, but through our alumni we were able to keep up with her many accomplishments. She certainly led an impressive life and I'm sure she will be greatly missed by those who held her so dear. What a beautiful person, and great artist. We were in the same Art Class at NNHS. We'll meet again my friend, and you can show me around God's garden. Our deepest condolences are extended to Mavis' family and friends at this difficult time.